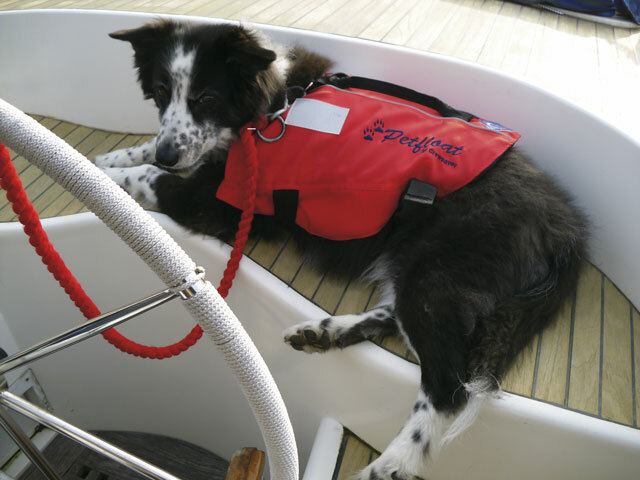 Our border collie, Floss, is getting on in years and finds the companionway steps on our Southerly 115 Dulcibella II too steep to manage in either direction. 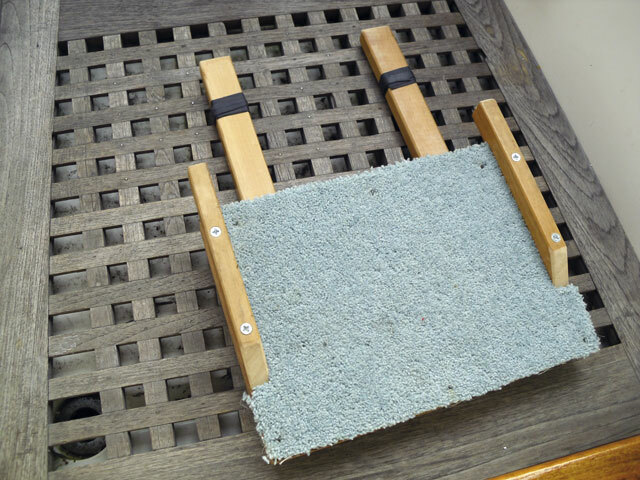 After considering various options, among them a ramp which I discarded as too cumbersome when not in use, I hit upon the idea of a detachable step extension. I constructed it from odds and ends of wood in the shed, tacked some carpet onto it for that luxury feel, and used some self amalgamating rubber tape around the arms. The rubber tape helps stop the step from slipping when the dog jumps up or down the steps. When Floss is where we want her, we can keep her securely in the cabin or on deck by simply removing the step. It makes life so much easier when we have the dog aboard, and it cost me nothing to make!